Are you looking to transform your garden space? Or a landscaper looking for great discounts on turf? Abbey Turf are professional landscape gardeners Hampshire, providing high-quality turf and precision installation. Trade enquiries are welcome, and great discounts are available. Call today on 02380 812302 or 07887 942242. 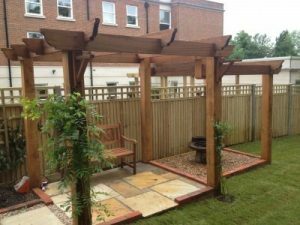 Our landscape gardeners in Hampshire take pride in creating and developing a garden that is suited to the needs of the owner, whether the property is a new build or well established. Having our experts design and create your ideal space can have a profound effect on the feel of your property. Whether you’re looking for a place to relax with a natural appeal or a dramatically transformed place to host your guests, we’ve got exactly what you need to achieve it. 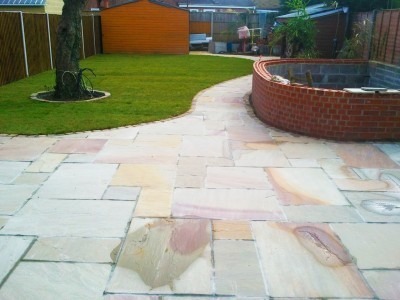 From start to finish, our landscape gardeners in Hampshire assure the quality of their work. Once you’re totally pleased with the design, they’ll get to work and make sure everything is just the way you want it. Abbey Turf landscape gardeners Hampshire produce all of our turf and other products in-house, because we want to ensure that only premium grade turf will be provided. There are multiple varieties available as well, depending on your needs. If you’re looking to spruce up your lawn then our domestic turf is perfect, alternatively for showcasing your garden then show turf is a great option. How can our team be of assistance? Our friendly, expert staff can assess your individual needs and provide the best choice to suit you, and your services are available all year round. Abbey Turf is one of the very few companies that don’t use netting to grow the turf, which is better for the environment and produces the highest quality landscape gardeners in Hampshire have seen. The turf is grown on our own 180-acre site, with no sourcing turf from other suppliers. This way you’ve got landscape gardeners in Hampshire quality and we aim to deliver within 24 hours of initial order. Where possible, we can provide a date and accurate time of delivery so you can plan ahead and not be caught out. To cover all the needs of Hampshire Landscape Gardeners, we offer more than premium quality turf. Abbey Turf can supply a brilliant top soil that is perfect for turf laying, bordering your garden, seeding and more. All of the top soil we provide is put through a screening process, thus ensuring there are absolutely no sharps, weeds and other undesirable articles. As with the turf, we aim to deliver in 24 hours and the maxi bags can be lifted over fences and placed where you need them. One bag covers roughly 25 metres squared at a depth of 2.5 centimetres. Bark Chips and Mulch are also available, ideal for use by any landscape gardeners in Hampshire for that crisp, well-defined border around your garden. Bark chippings are also excellent for preventing weed growth, making your garden a little easier to maintain. At Abbey Turf, we have a wealth of knowledge, going back over 25 years. The business is family run and started small, with just 10 acres. Thanks to our experience, customer service and superior products, the facility is now 180 acres and we strive to improve all the time. Feel free to take a look at our gallery and see our work. You can be confident that when you come to us, our experts will give you the information you need. Abbey Turf landscape gardeners in Hampshire will happily provide you will the best recommendation for which type of turf suits your needs. Any preparation for laying the turf can also be advised for the perfect result. Landscape gardeners in Hampshire, if you’re in need of livening up your garden for those summer barbeques, contact us today for a site visit and no obligation quotation.